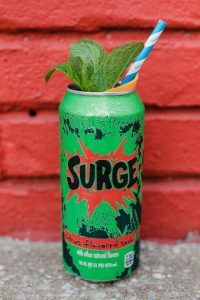 The Hive is throwing it back with their “90’s in America” pop-up bar during First Friday on July 6th from 4:00pm-8:30pm. Come try our selection of 90’s themed cocktails like the Surge Punch, the Tamagotchi, or the Red Hot Chili Pepper. We will have all your favorite 90’s jams playing along with yard games! So come celebrate with us dressed in your 90’s best! Previous: Fork + Bottle Dinner: BBQ and J. Rieger & Co.